In order to allow children to play freely, encouraging in this way the development of skills non gender-related, there is probably the need to develop educational toys without gender roles, that basically is not to restrict gender to stereotypes. Parents with both sons and daughters often see differences in the way their kids play. There are toys that define male or female typical play, but what kids do with their toys alone? There is for sure a general gender preference of children for different types of play, yet this doesn’t mean necessarily the toy itself has to be for girls or for boys, unless directing this kind of process is a clear educational belief. So today the general trend is to sort toys by their theme and/or function rather than gender, taking down the pink and blue signs in stores and on packaging, letting toys just being toys. Gendered toys limit the range of skills and attributes that both boys and girls can explore through play, they may prevent children from developing their full range of interests, preferences, and talents. The designer Valentín Andrade has reflected about the gender and its identity as a variable concept through time and how to label “female” or “male” toys can affect kids’ identity. This is how Ludomix was born. This wooden toy aims to promote interaction and development of skills that have been restricted by gender roles established by society. Ludomix has two instances, one constructive and another communicative, favoring in this way inductive relationship to form a coherent whole, oral expression, participation in communicative situations and cooperation in the game. 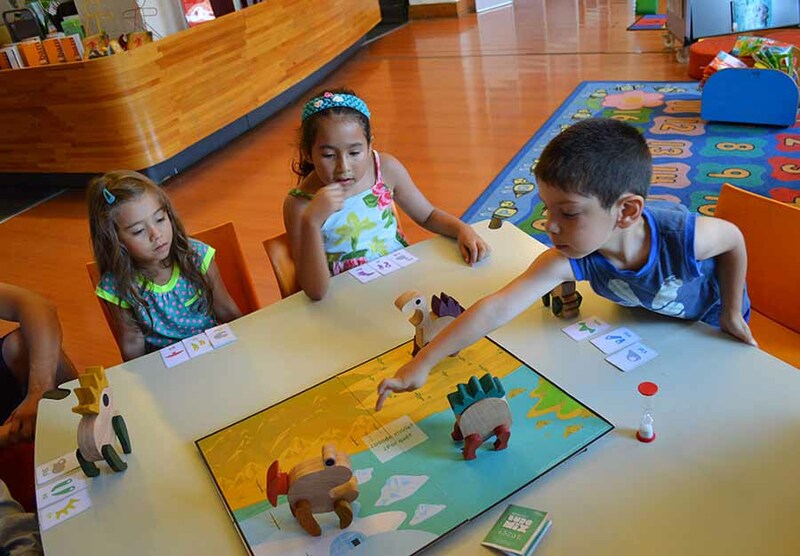 Andrade thinks playing without distinction of the gender, re-defining objects, allows kids to express their creativity with building tasks and the consequent oral communication. 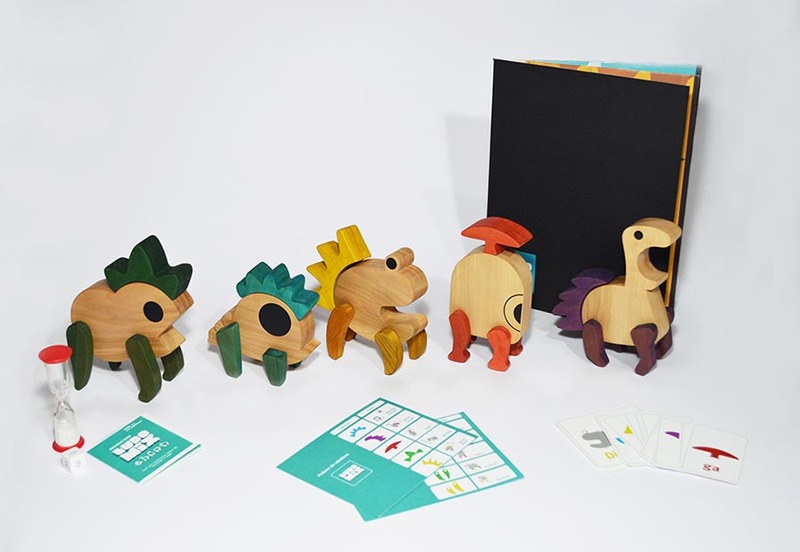 Thereby, as children play with Ludomix they can learn notions of logic, spatial and linguistic consistency, in children from 4 years old and up. Ludomix is formed by 5 characters; Diafene, Skávonex, Tréxiflo, Vatmoner and Álmaga. But their parts are interchangeable to allow children create an endless number of new characters. They can build their own character without any restriction. 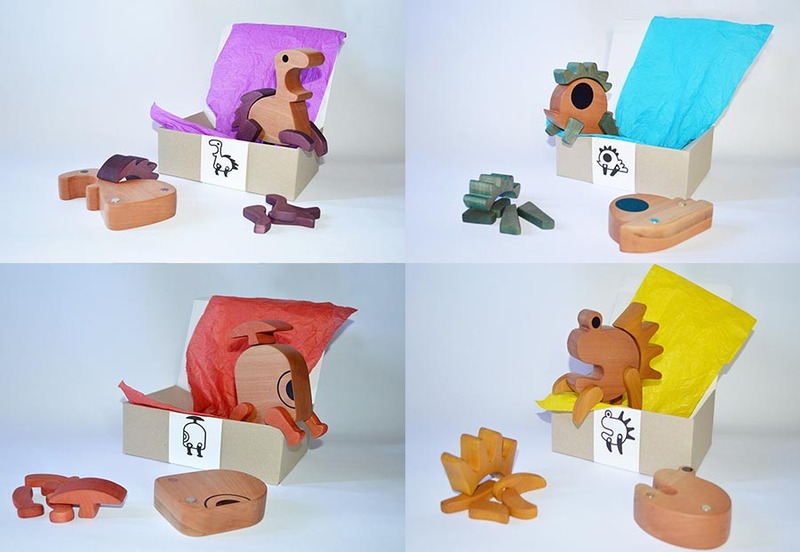 Ludomix characters are made of native wood, Lenga or Raulí, dyed with natural tints, to encourage the use of natural materials and sensorial features in education. You can adopt each character of Ludomix indepently, buying them separately to collect them and combine their different parts to create your own character. Furthermore, you can also purchase the complete set to experience the full dynamic of the game. Which is composed of characters, board, cards, dice and an hourglass. Each character include its respective cards and instructions. In case you have more than one wooden character you can apply the game rules to combine and create new names and characters. In the instructions Andrade suggests a way to play. First of all, you have to choose one character with its corresponding cards of the body, extremities and hair. Dissasemble the choosen character and mix your cards with the cards of the other players. Then you have to pick up a card of the body, of the extremities and the hair, and depending on the obtaining cards, each kid has to build a new character with a new name and with different colors and shape. We need to change the way we think about boys and girls and what’s appropriate for them from a very early age. Does the choice of toys matter? As we can see it is important for kids to have the safety of exploring while playing with whatever they want without feeling ashamed regardless of gender, they can achieve anything despite what traditional ideas of gender identity may dictate. Gender neutrality toys allow kids through play without the boundaries of traditional gender roles to iron out real-world gender inequalities in the future and combat current gender equality issues like gender disparities in science and technology jobs. So, let’s help children feel free to choose and play with any toy they like, avoiding any kind of restriction about gender roles or stereotypes, getting in this way all the benefits from play that promote a wide variety of skills and that help them develop their own unique aptitudes.